Kamloops mortgage rates are not as competitive as cities in the Greater Vancouver Area, but they’re close. As the largest community in the Thompson-Nicola Regional District, Kamloops ranks as the 44th largest census metro area in Canada. The following are the lowest mortgage rates available in or near the city. For providers that serve other parts of the province, check the best rates in BC. 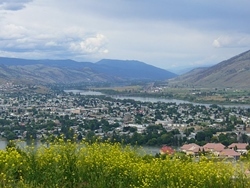 City in Brief: Kamloops is situated in the Thompson Valley where the North and South Thompson rivers meet. Its name comes from “T’kemlups”, the Shuswap word meaning “the meeting of the rivers.” The city also has 13 golf courses and is known as Canada’s Tournament Capital.